We're excited to invite you to present at EC-TEL 2019 and mLearn 2019, which will be co-located in Delft, Netherlands, 16-19 September 2019! The 1st CfPs have now been issued for both conferences! Transforming Learning with Meaningful Technologies (EC-TEL 2019) & Future Learning Through Experiences and Spaces (mLearn 2019). This gathering will feature conference presentations for both EC-TEL 2019 and mLearn 2019, as well as a number of co-hosted events. 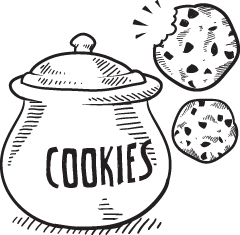 We'd love to see you in Delft for either conference -- or BOTH (special rates available)! The 14th annual European Conference for Technology-Enhanced Learning (EC-TEL) will be organized by the Leiden Delft Erasmus Center for Education & Learning. This conference is held each year, and is sponsored by the European Association for Technology Enhanced Learning (EA-TEL). The mLearn Conference series is the premier global conference on mobile and contextual learning, and is organized by the International Association for Mobile Learning (IAmLearn) in partnership with a different host each year. mLearn brings together a global community to discuss the latest findings in research and practice on mobile and contextual learning. mLearn provides a unique forum for sharing knowledge, research, and practices in a debate on the core challenges pertaining to the mobile and connected of future learning spaces. Every year delegates from more than 60 countries participate in interdisciplinary discussions on the latest research, development, and policy. 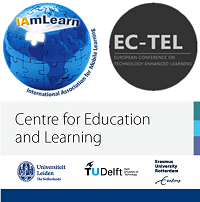 mLearn 2019 is hosted in cooperation between the International Association for Mobile Learning (IAmLearn) and the Leiden-Delft-Erasmus Centre for Education and Learning (LDE-CEL) at Delft University of Technology (TU Delft) in the Netherlands. Hurry! Deadline for submission of abstracts is 29 April 2019! We'd love to see you in Delft for either EC-TEL 2019, mLearn 2019 -- or BOTH! Hurry! Deadline for abstract submissions is 29 April 2019!